The US Justice Department has opened a criminal investigation into tax avoidance schemes exposed by the Panama Papers. The US Attorney for Manhattan, Preet Bharara, made the announcement in a letter to the International Consortium of Investigative Journalists. The ICIJ worked with media outlets including the BBC and the Guardian to report on the leaked documents from Panama law firm Mossack Foncesa. The letter asks for help from the ICIJ. Mr Bharara's letter stated: "The U.S. Attorney's Office for the Southern District of New York has opened a criminal investigation regarding matters to which the Panama Papers are relevant. "The Office would greatly appreciate to opportunity to speak as soon as possible with any ICIJ employee or representative involved in the Panama Papers project in order to discuss this matter further." The letter gave no information on the subject of the investigation and was not a subpoena that would force the ICIJ to hand over any of the 11.5 million documents that were leaked. Access to the documents remains limited to a handful of media organisations. 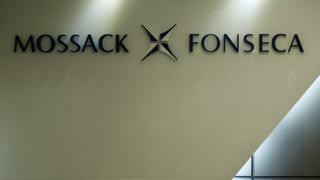 The UK's financial watchdog said that it had not yet gained access to the papers. Mark Steward, enforcement head at the Financial Conduct Authority, told a conference in London: "Most of us on the law enforcement side haven't seen what the media has seen." Serious Fraud Office head David Green, who spoke at the same meeting, said the papers "are being and will be accessed" for evidence of misconduct such as fraud and illegal tax schemes. He called the cache an "interesting source of information" that had yet to be fully analysed. Thought to be the biggest data leak in history, the documents have lifted the lid on how the rich and powerful use tax havens to hide their wealth. The files have prompted the resignation Iceland's prime minister, the Spanish industry minister and created political headaches for David Cameron. The prime minister's late father had set up an offshore investment fund called Blairmore Holdings in the late 1980s. Meanwhile, Panamanian president Juan Carlos Varela said that his country would join a global push for greater financial transparency in the wake of the papers. Panama is hoping to avoid being designated as a tax haven that assists money laundering. "Our goal is to cooperate actively and to lead the efforts of the international community on the topic of the global problem," Mr Varela said on a visit to Japan. He claimed that Panama has been "wrongly" labelled a tax haven: "Panama is a country respectful of laws."